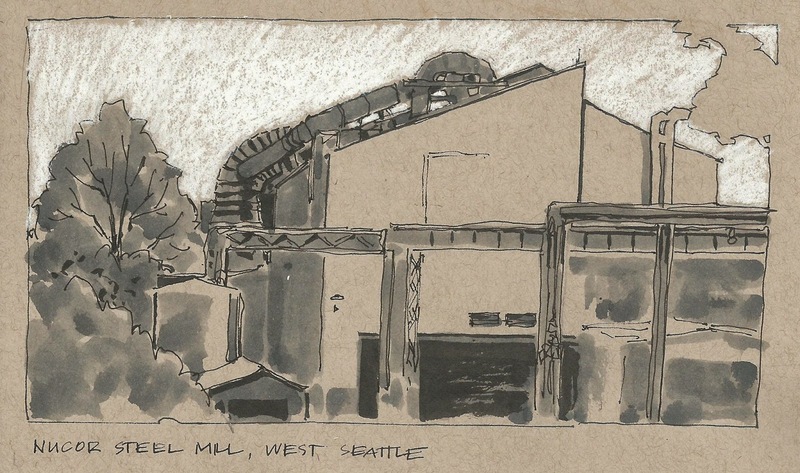 I drive past this steel mill five or six times a week, thinking it would make an interesting place to sketch. Somehow, I never pulled over and stopped until this past weekend. Some newcomers to West Seattle may not be charmed when they realize one of their near neighbors is a steel mill, even if it is a green, energy efficient recycler. The Nucor Steel Mill seems like an anomaly in what is now a residential area. But it has been there, wedged between the Dwamish river and the Port of Seattle, since 1904. Many of the houses in the area were originally built for the mill employees in the early 1900's. 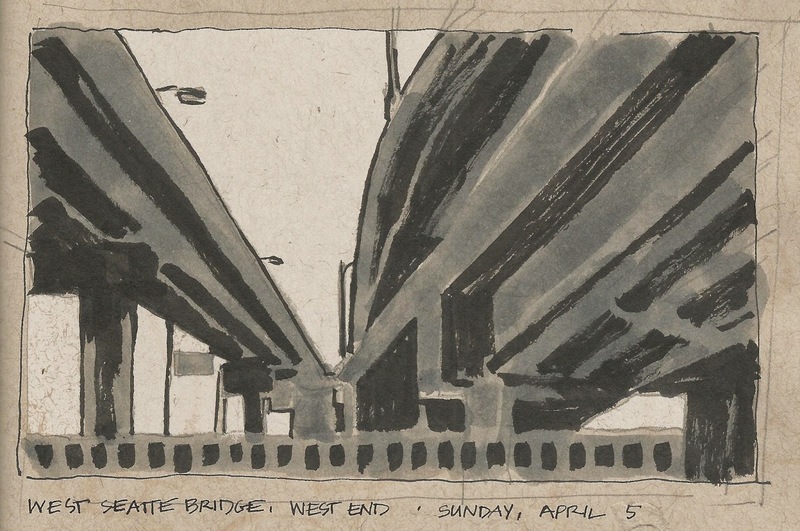 On my way back to my car I had to cross under the West Seattle Bridge, and I decided the view from beneath the ramps was worth a sketch as well. The wind and chilly temps kept me from getting carried away with detail.